Rejection is something that all writers go through. It’s almost a rite of passage! Rejection can be terrible, and there is no doubt that being rejected, particularly if it happens over and over again can feel somewhat disheartening (to put it mildly). However, trying to review rejection in a different light is the only way to get over it. If we skulk into a corner and lick our wounds, or dramatically delete all our writing files and decide never to write again, we are hardly doing ourselves any favours. Instead, it is essential to look at rejection as an important lesson, to learn from everyone, and figure out what we can do better next time. So what are the lessons that we should try to learn from rejection? Luck is part of it, but not all of it! We’ve all got to accept that getting a 'yes' from a publisher or agent has a little bit to do with luck. You might just happen to have written the right story at the right time, have caught the editor who reads your book in a positive mood, or just have something about your writing that appeals to their personal tastes. Try as we might it is challenging to predict how our writing will be received and it might be that had we sent it in on a different day the outcome may not have been the same. However, there is no point concentrating on the things we can’t control! So instead of feeling depressed about the ‘bad luck’, you are having, focus on the things you can do to improve and change. For many authors, the simple fact is that their writing is not yet good enough. While this may seem disheartening if you have poured your heart and soul into your manuscript, it doesn’t mean that your writing won’t be good enough in the future. Rejection is simply telling the author their book might need more work. If you are the kind of author who is willing to accept that and keep working at it, there is every chance that the next time you try, you might get the ‘yes’ you were hoping for. Have you followed the submission guidelines exactly? Have you put all the effort you could muster into making your pitch as slick and exciting as possible? Have you tried to find other ways to boost your writing experience, get published in smaller publications, win writing competitions, gain a good following on social media? All these things count and can help make an editor or agent sit up and take notice of you. So make sure you have done everything you can to make your pitch stand out before you send it off. If you are just blindly sending your manuscript to every publishing house and agent, you can think of you will undoubtedly receive many rejections because your book is of no interest to them. Not doing your research is just lazy and a waste of your and their time. Do yourself a favour and take the time to find the exact people who are likely to enjoy your book, and only send it to them. It may be that you’d be better off trying to get your manuscript published via an alternative route. Perhaps you could look into self-publishing? Perhaps you could break it down into a series of blogs and release it yourself? Perhaps you could see if a magazine would publish it chapter by chapter. Remember traditional publishing is not the be all and end all and sometimes you have to get creative and think outside the box. Remember, we can say it time and time again, but the truth is that when it comes to writing, perseverance is vital. Rejection isn’t pleasant for any writer, but by learning and improving each time, you will be one step closer to achieving your writing goal. Remember only one agent or publisher needs to love your work to completely change your life, and then all those other rejections won’t matter anyway! I'm still not to this point, but I already know it will happen once I get there. I'm still wondering is self-publishing will eventually be the route to take. Also, I recently signed up for a Wattpad account. I have yet to post anything there, but am considering posting the dairy novel I have been working on. But I'm still not sure how to end it, or if it could be a series. And I am also wondering if I should include my memoir on my Wattpad account. I don't recall the title, but recently at Target I saw a YA book that was written by someone who was said to be a "Wattpad sensation." I don't recall the tutor name either, but I'm guessing this author was discovered via his or her Wattpad stories. I don't have a Fanfiction account, but I am are that some books began as fanfics, such as the 50 Shades series. This might be one way to go. I now think I may try this. I'd be interested to hear other writers stories of rejection. I'm still beginning, but I know the road to publishing isn't an easy one. As writers, staying determined and motivated is key to achieving one’s goals and feeling successful. There are many things that can all too easily knock our confidence or mean that we get side-tracked and our writing suffers as a result. So it’s important to try to think of ways to incentivise oneself to remain motivated and keep persevering. 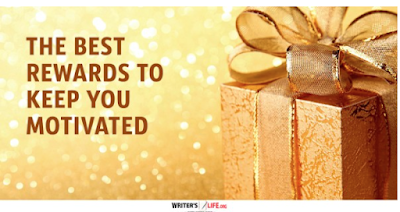 One of the simplest ways to stay motivated as a writer is to give yourself rewards! Take yourself out for a meal. When you’ve reached a significant writing goal why not reward yourself by going to that fancy restaurant you’ve always wanted to try? Even better get your partner or a friend to treat you instead! Watch an episode of your favourite show. If you need a break in your writing day why not allow yourself to watch an episode of that guilty pleasure tv series you love? If you are not a TV fan, listening to some great music or reading a book for half an hour can have the same effect. This is a substantial reward and should be reserved for one of your bigger and more significant goals. If you finish your book or get something published, then you could reward yourself with an epic holiday or weekend away to celebrate. Sometimes nothing does the trick like a good bit of retail therapy. If you are feeling particularly pleased with yourself why not take a trip to town and buy yourself something beautiful? If you’ve been working hard you’ll no doubt have been saving money, so you deserve it! Sometimes rewarding yourself by learning more can be really satisfying. If you’ve got your eye on a class you’d like to take, why not have that as a reward for achieving one of your writing goals? Something as simple as buying yourself some flowers can feel like a great treat and make you more determined to keep on writing! Take a stroll, have a bubble bath, book yourself in for a massage - whatever works for you. Doing something completely relaxing to recuperate and allow yourself to unwind can be so helpful to your creativity too. Remember, writers, just like anyone, deserve the day off from time to time! If you’ve been working hard and have gotten yourself ahead of schedule, then it’s time to put your writing aside and have a day just for you. It’s all too easy to for our social lives to suffer when immersed a big writing project. So when you want to reward yourself do so by spending some quality time with loved ones - it will be well worth it and remind you to stay on track to make sure you can balance your work and social life. Remember rewards can be big or small, but it is essential to make sure that you only reward yourself when you have done something worthwhile. Be strict with yourself. If you don’t put the work in you don’t get the reward, but if you do, you do - that’s what will keep you pushing forward and making sure you stick to your writing goals. This never really occurred to me. It seems I already do many of these things, well, except for taking trips (don't have the money for that) and buying myself flowers (never considered doing that for any reason whatsoever). And rarely do I have money for a fancy restaurant, but just enough for fast food. And I only so often buy anything fancy which is what the "retail therapy" thing seems to be saying. Still I think these are great ideas to consider. not just for writing but for any hard work and effort one makes to do something they really love. 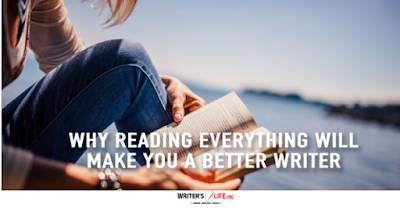 When it comes to improving our writing, one of the most important things you can do is read. Reading is by far the very best way to get inspired, to learn, to experiment and find our own writing voice, and the more we read, the more our writing will improve. The great news is that reading is a brilliant pastime too! When you are truly immersed in a great book there is nothing quite like it, you are lost in another world, and you can truly let go of the stresses and strains of everyday life. So just how does reading influence and improve your writing? Let’s take a look. Reading as much as you possibly can is by far the best way to get inspiration for your work. That’s not to say you should set out with the goal of copying or pinching another authors ideas, but allowing yourself to be inspired by their work and purposely thinking about the elements of their stories that you love and how you could use them in your own writing just makes good sense! When you read you are learning from the greats. Your favourite authors are probably pretty successful, and by reading their work and that of others, you will understand what it is that makes a great story. This knowledge is invaluable to any writer and the more you read, the more insights you will discover! When you know what genre your book is it is a good idea to read as many books as possible that are in the same genre. Doing so will help you discover the various patterns that make a book fall into that category, and you’ll begin to understand the common themes and the rules which can help you make sure that when you write your own story, you are following these and are therefore more likely to make it appeal to the right readers. It widens your vocabulary, improves your grammar skills and opens your eyes to new techniques. The more you read, the more educated you become, not just around the topics you read but also the tools and structures that are necessary to make a story flow well. You will have a more extensive vocabulary, using language creatively will come more naturally to you, and the way to pull sentences together will also improve. Think about it, do you know any painters who don’t love art? Any musicians who refuse to listen to music? All creative, artistic people are passionate about their art as a whole and use it to help them become better at what they do. The same goes for writers, without love and passion for reading it will be so difficult to come up with a story that other people love and enjoy. So if you only take away one piece of advice as a writer, then it should be to read. Read anything and everything you like and the more you do, the more empowered, knowledgeable and creative you’ll become! Yes, we've all been told that we must read in order to write better. But as far as reading from all genres goes, That is one I have yet to hear. I seem to read just about everything, though reading some genres is rare. I recently listened to the audiobook of Joyce Meyer's self-improvement book Eat the Cookie, Buy the Shoes. I rarely read these kind of books, but getting out of your reading comfort zone is good once in a while. Also, I fellow client at behavioral health likes reading Joyce Meyer, so I decided to give reading some of her stuff a try. This is only the second book of Meyer's I have attempted. Westerns is another genre I have not read a lot of. In order to push myself to read more of this genre, I chose to sign up for the Wild Wild West Reading Challenge. I have yet to read anything for this particular genre this year, but in the past two years, I have listened to some audiobooks of Western stories. What genres do you read less often? Quiz: What Smiley Are You? "You Are a Classic Smiley"
It can be tough to be a writer sometimes. For many of us, we face a daily battle with ourselves to try and keep going. Everything from rejection, procrastination to cringing as we read over our work can mean that we lose confidence as a writer, and for some, this means we eventually stop writing altogether. Of course, it can happen in any profession, and even if we achieve a certain level of success, this doesn’t necessarily mean we will feel confident about our writing. But beating ourselves up about our mistakes and bullying ourselves into retreating is not the way we should live our lives! Think about all the things you say to yourself that are negative, discouraging and downright mean? Would you ever dream of saying them to anyone else? We should start to change our attitudes about ourselves and realise that boosting our confidence and taking care of our happiness is a positive and helpful thing, not only for our self esteem and satisfaction but for those around us too. 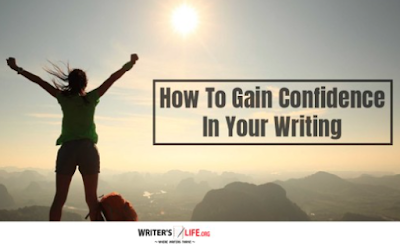 So what can writers do to gain more confidence in their writing? When we aren’t feeling confident, we can feel quite isolated too. However, it’s imperative to try and put our feelings in perspective, remember that it is not that bad, and that pretty much every writer goes through the same thing. Everyone’s first draft is bad. But instead of focusing on that and wondering how you can possibly start to improve it, just take a moment to celebrate the fact that you actually finished it. Not many even get to this stage, and now you’ve got something, something exciting and real to work from - that is pretty awesome - so just take a moment to appreciate that. Don’t be afraid to take risks in your writing. Even if you end up failing, knowing that you weren’t just following the crowd or copying someone else will feel great and should give your confidence a deserved boost. If you stay true to yourself and stick to your passions, this will come through in your writing, translate to your reader and feel good too. Remember that writing should be fun, it should be rewarding and satisfying so don’t be negative about it, instead celebrate that you are doing something creative and exciting with your time. No one can tell you to stop writing, and no one’s opinion is important enough to make you feel you aren’t good enough. 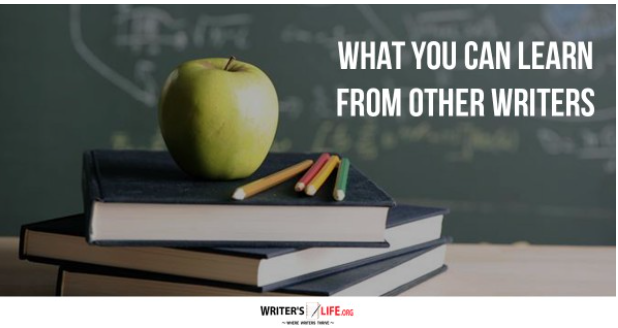 Remember not everyone can like the same thing, and it only takes one person to like your writing, to ‘get’ what you are trying to do to make all the difference! Writing is a muscle, and to make it stronger; you need to work it out! 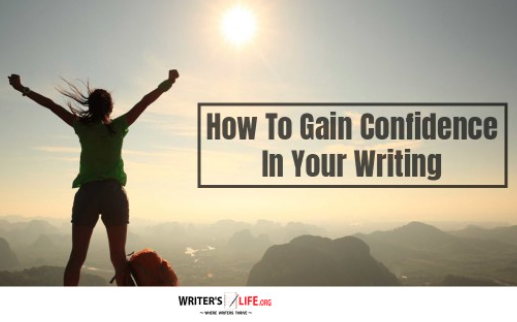 The more you write, the better you will become, and the better you become, the more confident you feel. It’s as simple as that. So just keep trying to write as much as you can, and you’ll soon see an improvement in your confidence. To build confidence in writing, you need to embrace the unknown, to take risks, to stay passionate and focused and just keep going - even when you don’t feel like it. If you manage to do this, your confidence will inevitably grow, and you’ll feel so much better for it too! I have realized that writing is not easy for anyone, though I sometimes have trouble telling that to myself. I try not to judge, but sometimes I fell I won't be as good as anyone I have read. But then I try to tell myself I'm doing good for what I am doing. Everyone is different. Most of all, I tryout have fun doing it. That's what should matter most to anyone. I didn't view the first draft of my memoir as bad, just as a work in progress that needed more work. I think this is one way of seeing your fist draft, much better than seeing it as bad. I bet many of you would agree with this statement. I believe what is said here. It's what you make of it. 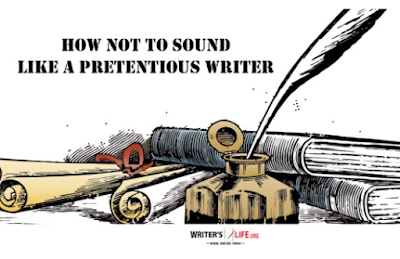 When it comes to writing, whether fact or fiction, it is easy to sound pretentious. This can happen for many reasons be it that our egos want the reader to know how intelligent we are, or that we think readers won’t enjoy our writing if we don’t make it as smart as possible. However, the problem with putting too much effort into writing intellectually is that not only does it slow us down and make us overthink things, it can also act as a distraction when it comes to getting out point across or advancing our plot. So what can you do to ensure that you don’t sound like a pretentious writer? Follow these useful tips. Using an abundance of long and complicated words could put your reader off. Every time they have to check the meaning of a word, you have effectively taken them out of the story. If this happens too often it will be impossible to keep up, either they just won’t be able to immerse themselves in your novel, or they just won’t understand it! Reading your writing aloud to get an idea of whether it flows well or feels too convoluted and complicated is also a good idea. 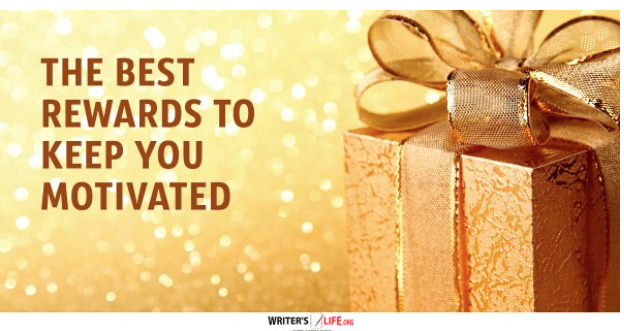 When it comes to avoiding pretentious writing, knowing who your reader is can help. Think about who you are hoping will read and appreciate your work. If you are writing a fictitious story for the general population, you should try to avoid creating a piece of writing that is overly complex. The average reading level for an adult American is that of a 7th or 8th grader, and aged nine years old in the UK, so it is essential to bear this in mind as you write. Writing should be fun and if you are having fun and enjoying what you do you are less likely to get bogged down in trying to make your writing seem too clever. Your enjoyment and enthusiasm will come through in your book and will mean your readers enjoy reading your work more too. The more sincere and truthful you are with your story the more genuine and authentic it will seem too. An overly complicated plot can be difficult to follow and can confuse your readers. While it’s great to be smart and surprise your readers if you try too hard to confuse them or make your story too complicated to follow they’ll soon lose interest and may give up altogether. Over punctuating or trying to be too smart with your use of punctuation can also be considered pretentious and may be off-putting to your reader. Some authors do choose to use punctuation as a stylistic technique in their writing. However, if you aren’t sure it works, it’s probably best to leave it out. By following the tips above you can ensure your writing doesn’t come across as pretentious or confusing, while still being able to write with style. Remember, you can write however you like, but if you want your writing to be enjoyed by others you do always have to keep your reader in mind! How many of these have given any of you writers out there any trouble, if any at all? The first point I'd like to comment on, as I try to avoid using words that I rarely use, and if I use them at all, I have to be careful not to use them more than once. How many of you have ever used words like "taciturn" or "neophyte," for instance? I didn't use these in my memoir, but it if I had, I would not have repeated them more than once. These just aren't used everyday and would definitely confuse the reader as suggested above. As you can see, I used the dashes, but am still not sure if I should have done it that way or if I should have used commas. And I believe this was just one instance when I wasn't sure how to offset a descriptive phrase this way. How do you think it should be done? I've tried not to sound too overly clever in my writing. I may have a been a bit descriptive (in some people's minds), but it was just to make somethings clear and to describe some settings, such as the playground at the daycare I once attended, and several medical offices I have attended. I describe them to the best f my knowledge, to pit the picture the reader is trying to see. This is one important point in writing. And I always make sure to have fun with writing. You're supposed to feel that way. When it comes to writing books, we are all going to make mistakes. Even the most experienced and successful authors do. Even after redrafting and editing it is almost impossible to write an utterly flawless book, and that’s OK because your readers don’t need your book to be perfect, they just want to enjoy your story. 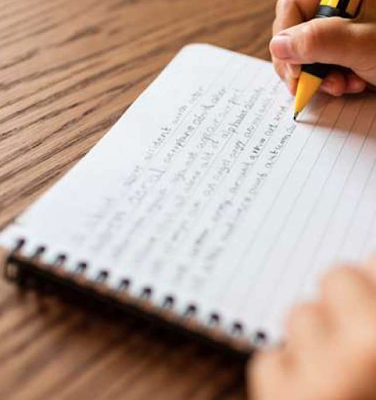 However, there are some easily made mistakes that your readers might be less forgiving of, and it is important to highlight and rectify these before you go on to publish your novel. Not doing so could lead to them to feel frustrated, annoyed and eventually put them off reading your book altogether! 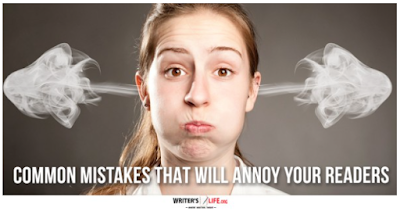 So what are some common mistakes that might annoy your readers? Let’s take a look. Using character names that are too complicated or similar to one another. Calling your characters something that is impossible to pronounce is a definite no-no. Readers don’t want to struggle over what you have called your character. Having to re-read the character name each time it crops up will jerk them out of the story and quickly become irritating. Having characters whose names are too similar (unless for a specific purpose) could also confuse and muddle your reader and they might mix up one for the other. Writing beautiful, carefully thought out descriptions is one thing, but if you only focus on this and not on the pacing, the plot, the character development and so on, your story will seem dull and slow, no matter how good you are at setting the scene. Make sure your readers care about the people in your story and what’s happening to them. Without this you are on a path to nowhere. Clever, original writing can be brilliant. But if you focus on this too much it is likely that other parts of your book will suffer. While experimenting is good, if you try to be too unusual, this will distract from your story and will likely confuse your reader. Jumping back and forth between different timelines, too many different character perspectives, using too much punctuation and so on can all have a negative effect. You might think it is really important to painstakingly introduce every character in your novel, but if you don’t get them to act soon, your story will feel very stagnant. Readers want action, they want a decent pace, they want to know what happens. Don’t drag your story out for as long as possible, rather tell it in the most exciting and exhilarating way you can. Over explanation, showing not telling, or the author's voice coming through the text will all destroy your story. Trust that your reader will ‘get’ what you are trying to say, or the picture you are trying to convey. They don’t need everything spelt out for them, and doing so will really get on their nerves! These common mistakes are ones most writers are guilty of at some point. However, as long as you capture these errors and figure out how to rectify them before you present your book to your readers then you have nothing to worry about! So next time you are editing your book keep a look out for these and when you spot them tackle them right away! Do you see a lot of this in what you have read or written yourself? I'm still taking a break from my memoir, but I have looked it over for passages that seem repetitive. This was one of the things I looked for when I first began revising/rewriting it after the initial draft that I had begun two years ago this month. But deleting some of these things just made it shorter and since then I have been adding more to make it longer, what seems like the typical length for a memoir. Some of the details I have added over the time I have been working the story may, in some people's eyes, seem frivolous, but I have seen other people's memoirs deliver such details that might seem just as frivolous to some. Such as fantasizing about going on a game show, watching the summer reruns of Friends, going to see movies I had only some interest in in the summer of 2001 while I was working for a boss I hated. I would do things like those to get my mind off the awful days at work I was having then. In the beginning, I had not said exactly what I had done on my days off from work, just that the two days off always seemed to pass too quickly and that I had little time for myself before it was back to the awful job. Does any of this seem annoying to you? (Though I am paraphrasing). And I noticed in my diary novel I repeated the phrase "trigger(ed) (ing) my anxiety" more than once. My mom had suggested rewriting that phrase in subsequent lines, though I have yet to even try doing so. Would this seem annoying to you? (Though I know you don't know that context in which it is being used). As for using similar character names, this seems hard to avoid when writing something from real life. Using a name more than once could cause confusion, but seems weird when you have known more than one person in your life with the same name. I mean, how many Jennifers have you encountered over your life so far? Probably more than you can count or name. I didn't refer to any one specifically by this name or other over used names such as Karen or Lisa, rather in one part I made reference to "one of the many Jennifers, Karens, or Lisas..." and later to "another of the many Jennifers, Karens or Lisas...," implying that the girl who was speaking then had one of these names. I did this partly not to use the real names (which I worked hard to avoid doing), but also to emphasize that fact that I did (and still do) know a plethora of girls with these names. Every other girl to school seemed to have one of these names and that it was hard for me to grow up among them with a not-as-common name. How do you writers work around this? I have something of a fascination with hippie things. "Your Hippie Chick Name Is: Ivy"
Too Scared to Write? Take Action Now! It may be that you have never written anything, it may be that you used to write years ago and are deliberating about whether to try again. It may be that you wrote something last week, but now, for some reason, feel as though you can’t write anymore. Facing your fears about writing is something that all writers must do at some point - we all have moments of doubt, of feeling we aren’t good enough. Or perhaps moments of fear that we will be laughed at, or rejected or simply that we’ll keep writing for years and never achieve our goals. There is no doubt that writing can be a scary business and there are no guarantees for any of us. But if writing is your passion and your dream, letting fear stand in your way is something that just won’t do! So how can you take action to conquer your writing fears? Let’s take a look at some tried and tested techniques. Fear of failure is a very common writer’s fear. It’s not surprising as failure for a writer can take many forms. 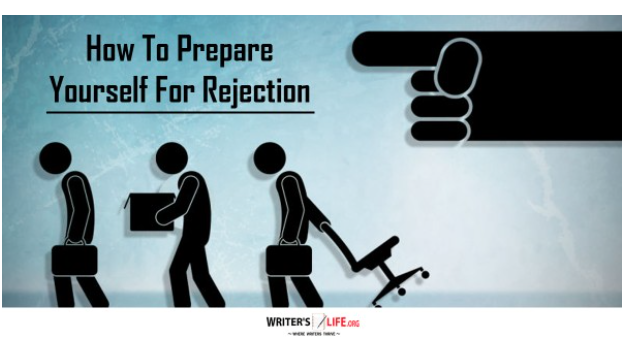 Whether it’s receiving a rejection letter or feeling you’ve failed yourself because your work isn’t progressing as you’d like, the worry that you’ll fail can stop some writers in their tracks. Try to remember that being creative is about taking risks. It’s scary and messy and chaotic. It sometimes flows and bursts with energy, and sometimes stops and hides away. Accepting that writing is a process of discovery and that it won’t always be steady and constant can help writers to let go of this fear. Remember the more you practice your writing, the better at it you’ll become, and the better you become, the more confident you’ll feel. Just break the cycle of fear, and keep pushing through and as long as you keep going, you can’t fail. Even if you are an incredibly successful writer, you may still have that weird sense of imposter syndrome - that you aren’t really supposed to be successful, that it’s all a massive mistake and that any day now you’ll get found out. Accept that if you are writing, that makes you a writer. No matter if you’ve never had anything published or you’ve written a bestseller. You don’t have to prove yourself to anyone; you don’t need to make anyone like your writing. Many writers are so scared of not getting the approval they crave that they stop writing altogether. If they don’t write, no one can dislike their writing. 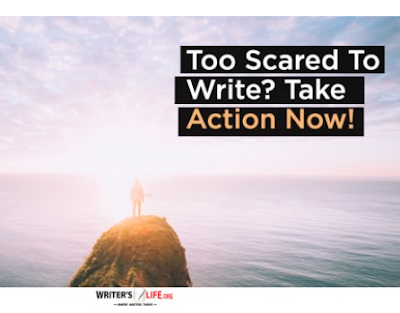 If they don’t write, they never have to be pushed outside of their comfort zone. It’s OK to believe in yourself and to be proud of everything that you have achieved. Remember that you don't have to show your work to anyone until you are ready, and when you feel ready you’ll feel as though you have put the work in, and therefore if you do get recognition, accept it - because you deserve it! Many writers share the common fear that one day they just won’t have anything left to say. This can be particularly true if you’ve already written something that has done quite well. How will you ever top it? How will you ever find anything interesting and read-worthy to write again? The truth is that writer’s rarely run out of ideas if they don’t want to. There are so many different ways to gather inspiration, and you never know when a great idea for your next story might strike. So accept that this fear is irrational, and there will always be things you can do to get those creative juices flowing once more. When we write our stories, before we share them with anyone they are completely our own, and we are in total control. The idea that we then have to part with them send them off without any way of being able to control the outcome, or even the timeline can be particularly challenging for writers. Suddenly this project you have put your all into is no longer your own - this can feel very daunting indeed. Try to accept those things you cannot change. Once you have put your work out there, you have to allow for the fact that it is no longer entirely yours. All pieces of writing are collaborations, between you - the author, your editor, your publisher, and, most importantly, your reader. You cannot have complete control, but that’s okay. No true artist is entirely in control of their work because it is subjective to those who receive it. You can’t control how people will react to your stories, but that's what’s so magical about them, as no two readers will take away the same from it - how cool is that? Writing can be daunting, but it also has so many positives. So if you are feeling too scared to write, try to take a deep breath, take the plunge and don’t let fear get in the way of anything you want to do! I've been trying to follow the advice given just in the title line today as I had a rather intriguing dream last night that I wanted to write down. It was still fresh in my mind this morning, unlike some most other dreams I have had. I finally pressured myself to write down what I remembered and add what I think could go into the possibles try to come out of this dream. I didn't come up witan full story just yet, but at least I got the idea down for possibly working on it more in the future. I'm still trying to decided how to finish up my other two writing projects and how much farther I want to take each of them. I want to get my memoir reading for the writing contest I saw online (the deadline is at the end of September). I especially am not sure how to end my diary novel and now it seems I could start another book for that one, thus starting a series. But at least I got my idea down as I had wanted to do. I'm glad to have gotten some ideas for a story, but I can't seem to decide which one to work on right now. Though I'll probably put the dream one aside for now, now that I have most of what I could recall from the dream written down. Today at work is our Valentines/Friendship party. It'll be a pot luck with some games. Below is my candy machine we made a while ago at work for art class. I just filled mine with some candy hearts. 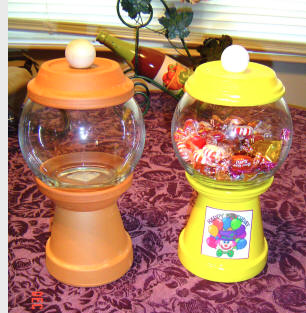 These were made from terra cotta planters, glass bowls, and wooden knobs. E6000 Adhesive was used to glue the pieces together, and the painted pots were sprayed with Modge Podge. 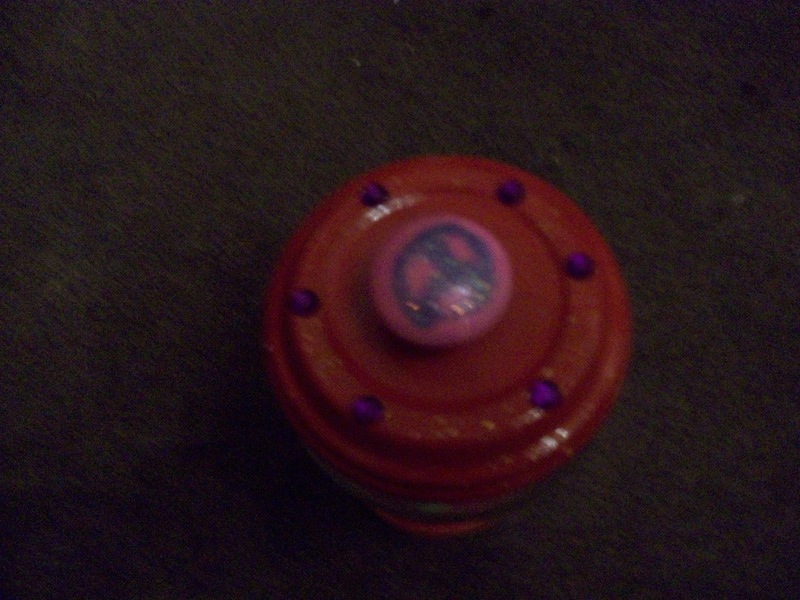 I decorated mine with a heart, peace symbol and smily face. 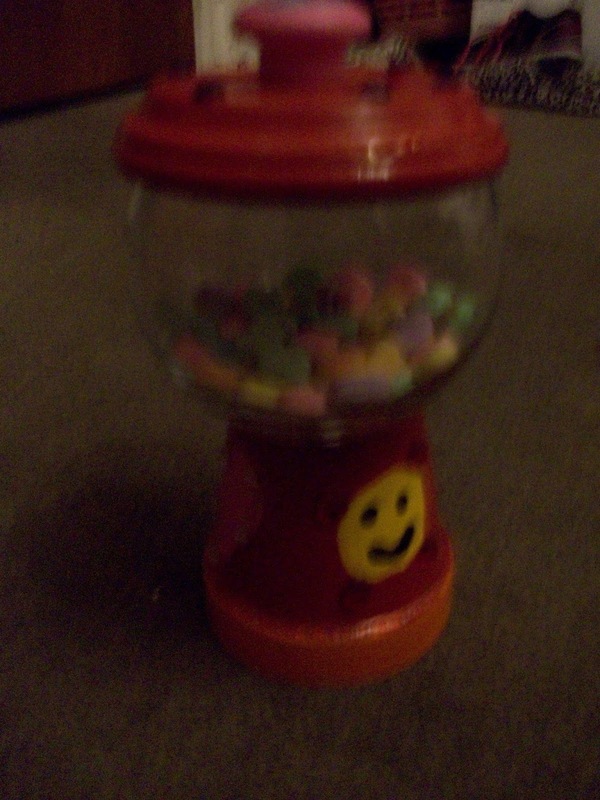 Here are some instructions for making the candy holder or gumball machine. 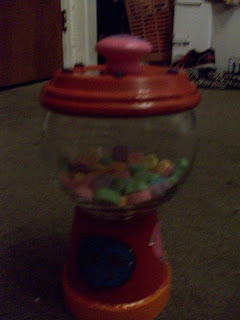 (This one requires using two dishes, one under the glass bowl and on top of the pot; we only used one dish for the lid.) The image below is from the link. 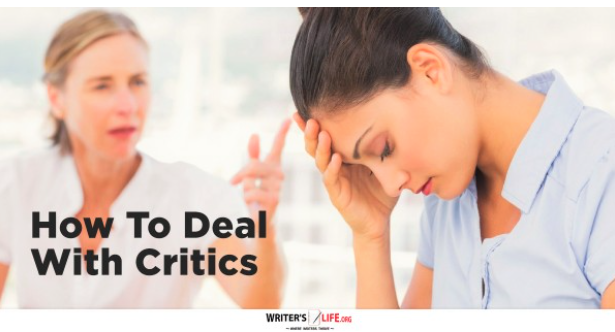 When you’re trying to achieve something great in your life, you will deal with critics. The thing is, you can let those critics tear you down or you can use them to motivate you. You’ll always have the choice. Your greatest critics might come from your friends and family. Understand that success changes people. If your friends or family are acting negatively towards your dreams, you need to stop surrounding yourself with them. It’s hard enough trying to become successful on your own let alone when you have people bringing you down. If you listen to the doubters long enough, you’ll doubt yourself. When that happens, you might as well be finished because there’s almost no way to come back. The only way you can deal with critics is to take action. Put your head down and continue to work. They can say anything they want about you, but they can’t take away your work ethic. You will get critiqued no matter what you do. People will always have a stark comment about you. Don’t let this get to you and control only what you can control. You can control your work ethic but you can’t control what someone says about you. You need to learn the difference between someone who is being mean and someone who is giving you feedback. There’s a thin line between them. I used to think any comment about myself was mean before realizing some people are genuinely providing feedback for me. Sometimes you need to embrace your critics because you can learn a great deal from them. You can learn what you need to work on. Always remember though, only take advice from someone you’d be willing to change places with. When someone gives you criticism, take a few seconds before responding. This will allow you to have a clear head and relinquish you from making any comments you wish you could take back later on. The next time someone critiques you, use it as fuel for motivation. Yes, I am aware I will be faced with this if I let others see what I have written so far. I know to expect this just from letting a relative see what I have written. Many say you should get people you don't really know to read your work, but I am having problems finding someone who will do that. I did get the memoir teacher to read my story, instead of taking her advanced memoir writing class. And getting family to read my stuff has been nearly impossible lately. Some I know would not be interested in doing so. But mo matter who reads my stuff eventually and give criticism, I will keep going as suggested. In 2016, I posted the following on my blog: Pen and Paper? Or All Digital? In it, I said that at the time, I didn't think I could afford a new computer anytime soon, but that fact changed later on in 2016. But at the time of the blog post, I had decided that writing notes for my memoir was a temporary solution until I could get a new computer. Even though that part has since been solved, but I still find myself in the habit of writing stuff down by hand, as I have been doing with the 1980s-set diary novel I have been working on. I had been slacking off on that and on writing in general for a few days, but last night began writing more notes for that story in the bright-pink notebook I bought for that reason. Sometimes I get my ideas while in bad so having a notebook to write them down comes in handy in those instances. I agree with most of what is begin said above, and as I said, writing stuff out by hand is easy to do at night when I feel inspired to do so. Also, often what I write down on paper doesn't always get transcribed verbatim. Most often it's just a series of notes and a guideline for what I really want to write. And of course, it's always best to do what works best for you. 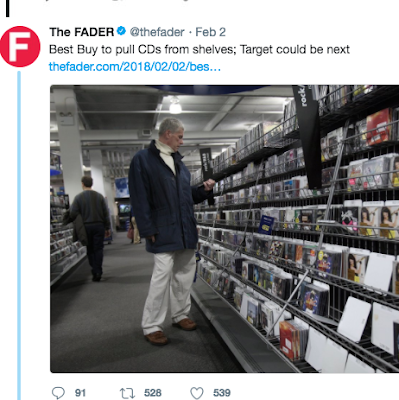 Do You Still Listen to or Buy CDs? Ever since news broke out this week that Best Buy will stop selling CDs starting this summer, I began pondering a few things. I tried to remember when I last bought a CD and can't seem to recall exactly when. I know I was still buying some at the beginning of the millennium in 2001, but am not sure how many I bought during the remainder of that decade. And I began to realize how often I tend to listen to my ancient stack of CDs, which still are holding up after more than 25 years. I got my CD player in 1991 and it still works. I seem to mostly use it now to listen to audiobooks on CD borrowed from the library or purchased at thrift stores (though mostly from the library). The CD has been hanging on for life for years now and I have been reluctant to give mine up, despite how frequently I listen to them. But I have never gotten into the idea of music downloads. If I feel like listening to some song I don't have on CD, I try to find it on You Tube to listen to it. I can bookmark the video clip and watch/listen whenever--no need to pay. As for vinyl, I was never really into that format. I was a more of a cassette listener in the 1980s, but never was into the Walkman. I had one or two that quickly died out on me. As such I never got the CD version of the Walkman or the MP3 player out of fear of these devices dying out on me. Read this post on my blog from 2011. I can't seem to recall if I ever bought any CDs at Best Buy. I have gotten DVDs at the location nearest to me. My new computer screen and my printer were the last two things I bought at the popular electronics store, in December 2016 (the computer itself came from Fry's Electronics). The Gilroy, California location has only been open since 2003. It was the first one I ever shopped at. And the only one. 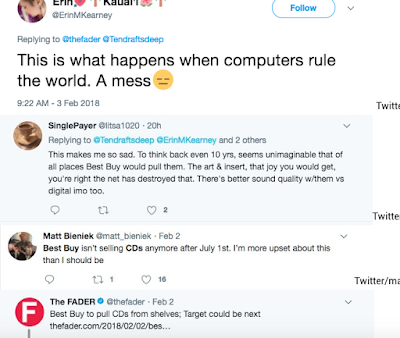 Like many online, I have had mixed feelings about Best Buy's decision to stop selling CDs. I rarely buy any now, and now wonder if they are really going to disappear for good. But I still am reluctant to give up those I have, despite how frequently I even listen to them. 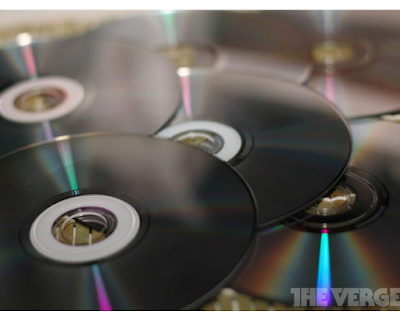 I'm not going to freak out just yet on the fate of DVDs. I'm still buying those (though none in recent months), and renting them from Netflix. Quiz: What Symbol Candy Heart Are You? 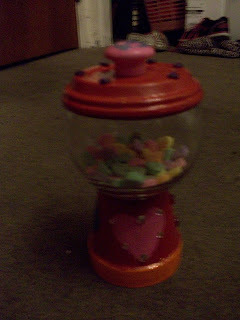 "You Are a Peace Symbol Heart"
What Symbol Candy Heart Are You? Many writers see writing as a somewhat solitary pursuit. It’s true that we might spend much of our writing time working alone. However, other writers are a genuinely vast and unending resource, and not tapping into that is foolish! Communicating, befriending, and helping and sharing our work with our fellow writers can bring so many benefits. Many of which help improve our writing and our make our writing life better too. So what are the great lessons you can learn by getting involved with the writing community? Here are just a few of them. Your fellow writers all know how important it is to get honest feedback for your work. It can be very disheartening receiving rejection after rejection without knowing what you are doing wrong. From cover design to synopsis to the actual content of your book, your fellow writers can help you try to figure out what the problem might be - and because they’ve been through it themselves they are more likely to do it in a helpful and sensitive way! Reading the work of other writers is a gold mine for new ideas. Remember that it’s practically impossible to have a truly unique idea, and therefore don’t be ashamed about being inspired by your fellow writers or being influenced by them. There, of course, is a line that no writer should cross when it comes to ‘borrowing’ other writers work, but the more you read, the more you are likely to find new ideas that you can adapt and change to make your own. Every writer goes on a journey, one that might be filled with many setbacks along the way. Writers are fantastic at supporting one another and sympathising with one another, as well as offering words of encouragement and motivation when things aren’t going your way. Remember if you are feeling down, are doubting yourself or finding it hard to recover from a setback, it’s important to try and get over it as quickly as possible. Reaching out and learning from other writers can be a great way of doing so. Your fellow writers are also super helpful when it comes to finding the best in the business regarding editors, book cover designers, promoters and so on. Getting recommendations from those who have used the services before can make all the difference when it comes to finding a reputable company to help make your book the very best it can be. Writers really can be an invaluable source of help and comfort to one another. So when you are struggling with anything from inspiration and motivation to the more practical aspects of getting your book together, remember that your fellow writers are there to help! This is one thing I'd like to get more of, but as I've said, it's hard to find other writers nearby without driving 20 or more miles. And I too would love to be able to read other people's works. Some of those to whom I had emailed my first draft nearly two years ago never responded. And the writers group that is said t exist in my town never seems to do anything. Why bother having it? I've been more eager to let others see what I have written, but can't seem to find anyone to let see it. I have shown it to others who don't consider themselves writers, but I think their feedback is just as important to me. But as this article says, you can learn from other writers and is what I would like to be doing. I feel I've learned from other writers just by reading what has already been published, but reading works-in-progress would be good too. I guess you can learn from other writers wither way.